Need your gutters replaced, fixed or cleaned on your home? Note we do not do seamless gutters. We can do it all. Just give us a call if you have any questions or need a quote! If you have a gutter that is damaged or not working properly, we have the resources and equipment on our trucks to fix it permanently. Sometimes the gutters are pulling away from the house, sometimes they are bent or damaged, or it might just be time to get some new gutters. Either way, we are happy to give you some straightforward and objective advice so you can make an informed decision. 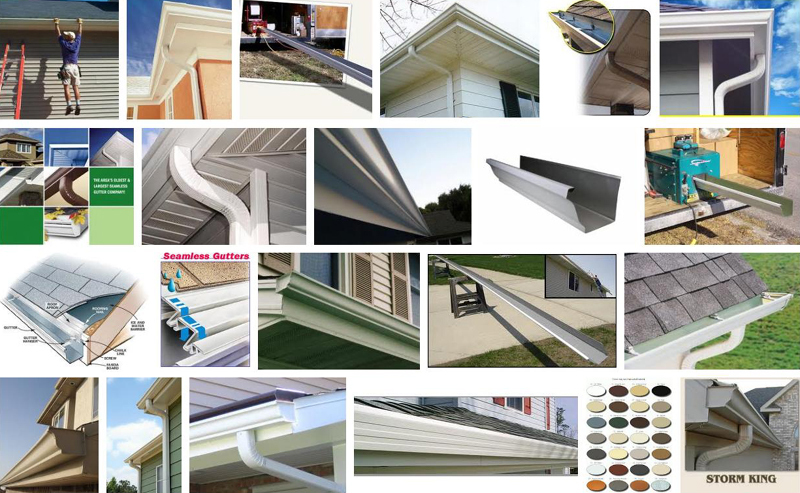 If you're in need of replacement gutters for your home, we install seamless 5 and 6 inch aluminum gutters and 3X4 inch aluminum downspouts in over 20 different colors to match your home. 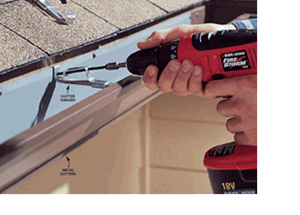 We only use hidden hangers which insures your gutters will stay attached to the house. Just give us a call and we will come out and measure and give you a free quote. Our prices are super competitive and our installers cannot be beat for a quality installation which is so important to make sure they will work properly for years to come. No job is too small or too big for us. Removal and disposal of the old gutter system is free! Over time the shingles on your roof can be damaged by tree limbs, they can crack due to excessive weathering, or they can get blown off during heavy winds and storms. While we are on your roof we complete a full roof inspection and will take pictures of any damaged areas. Our crew foreman are all certified CertainTeed™ Master Shingle Applicators (MSA’s) and can handle anything from the smallest repairs to the largest roofing projects. 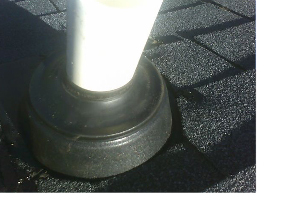 Vent Pipe Boots are a specially designed flashing that seal the PVC vent pipes that extend from your roof. Since the seal that keeps water from running down the pipe into the framing of the house is made of rubber, these boots need to be replaced as they become dry-rotted and cracked. Since we are already at your house, we can save you a bundle over having a separate roofing company come out to do the repairs. All our crew foreman are certified MSA's by CertainTeed™, a major manufacturer of roof shingles, so you can be assured that we'll get the repair done right the first time. 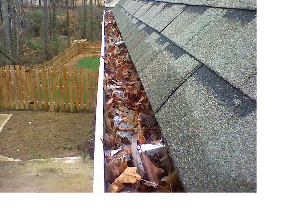 There are many options available to keep your gutters from becoming clogged with debris. Our expert staff will be more than happy to give you some objective advice and help lead you in the right direction depending on your expectations of what the product should accomplish. Through years of experience and research we believe there are only a couple of gutter cover systems that consistently work well in most applications. Give us a call and we'll be happy to explain the best options based on your circumstances. 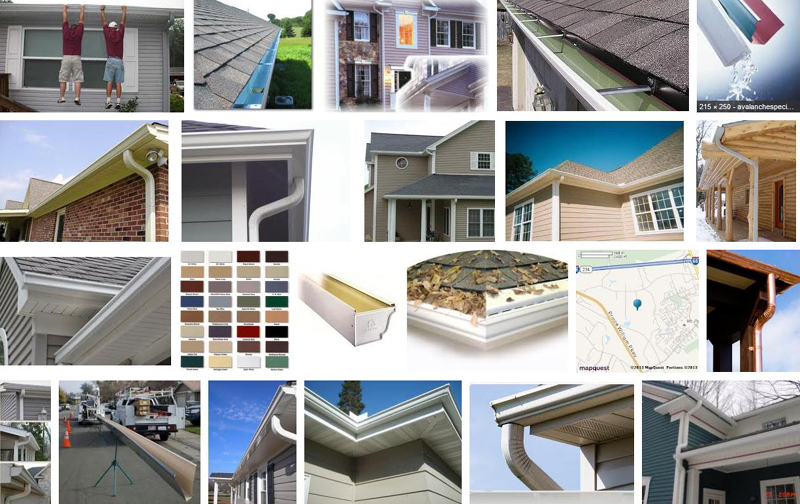 Many people are tempted to install inexpensive plastic or metal gutter covers. Many of these designs have small slits or holes to let the water in. 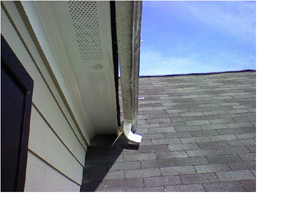 The problem is that these slits or holes get clogged up very quickly making your gutters useless. 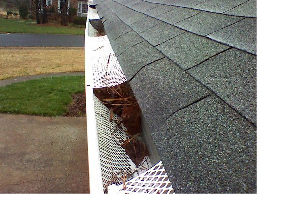 Also, flimsy covers will fall down into the gutters since they have no support underneath. 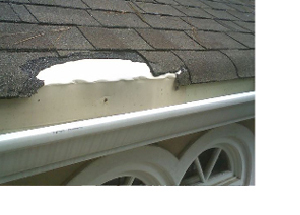 Any good solid gutter cover system will have support brackets in the gutter to hold the covers in place. Once you have scheduled service with us we will send a three-man professional team to your home who will work from the roof with a rope and harness system so as not to dent your gutters with ladders. From the roof, they will clean 100% of the debris off of your roof and out of your gutters. They will also check each downspout to make sure that they are all free-flowing. All of the debris that will inevitably fall out of your gutters and onto your bushes and walkways below will be thoroughly rinsed and cleaned, including blowing off all of your walkways, patios, and your driveway to the curb, so that you literally won't have to lift a finger after us.